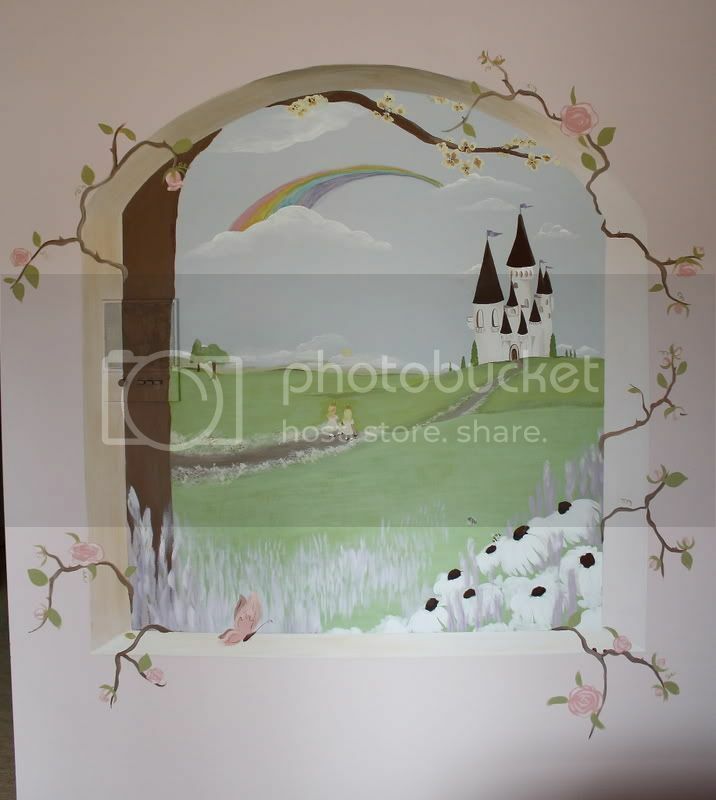 Kristen F. Davis Designs: princess bedroom - handpainted mural. 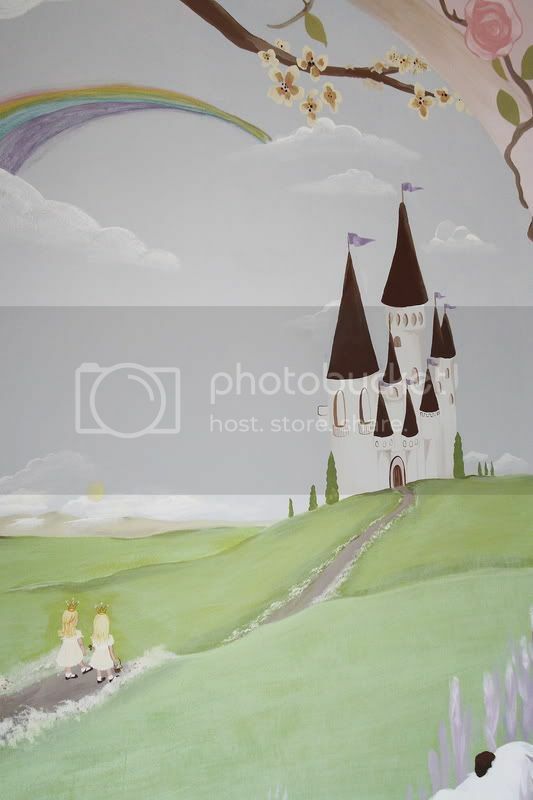 princess bedroom - handpainted mural. 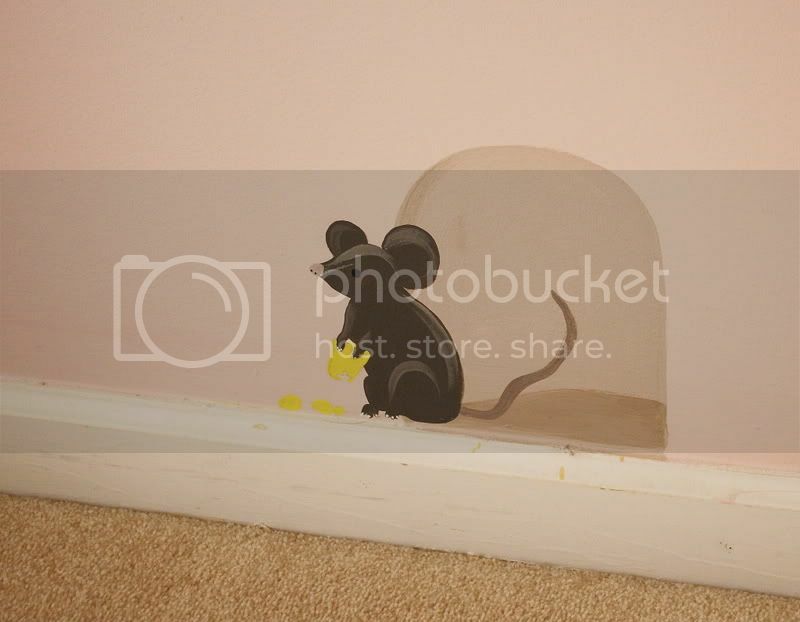 back in 2009, i did this mural and furniture painting work for 2 twin girls. they were very little then - i think 3 or so - and now i have come back to do their bathroom. 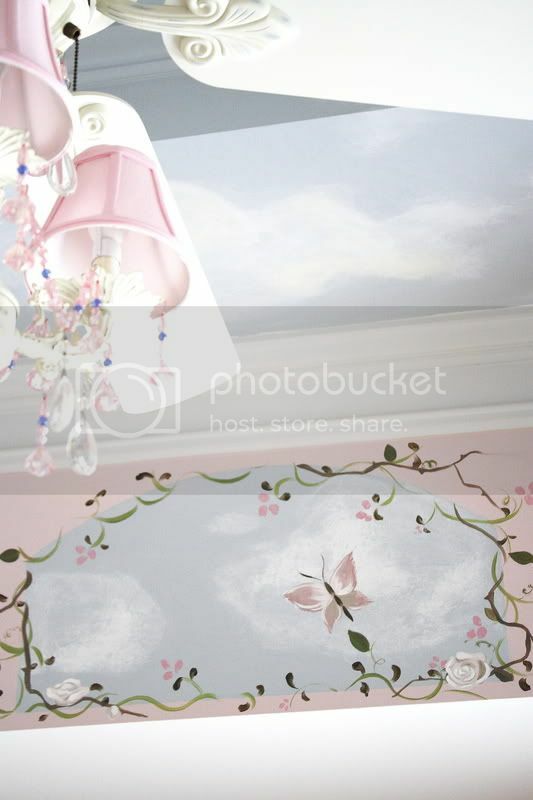 anyway, i will share the bathroom with you guys when it's finished, but for now, i wanted to share some new pics of the mural i did in 2009. she has finished the bedroom decor, and it's so sweet i just had to show you guys! 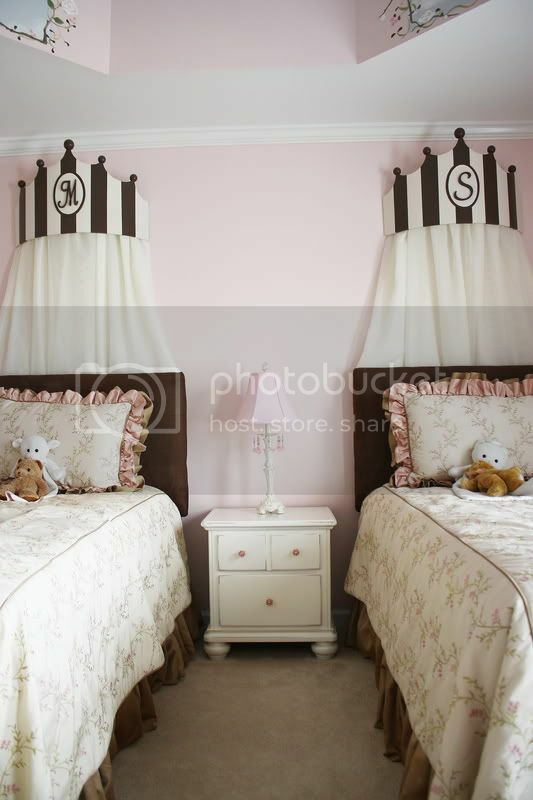 mary and sarah have these cute little twin beds, with custom bedding and coronas. i know their mom got the coronas online, but i am not sure where from. 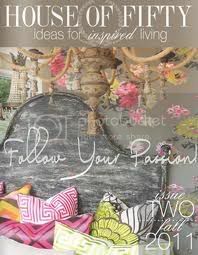 i am also unsure of where their bedding fabrics are from - sorry for that. 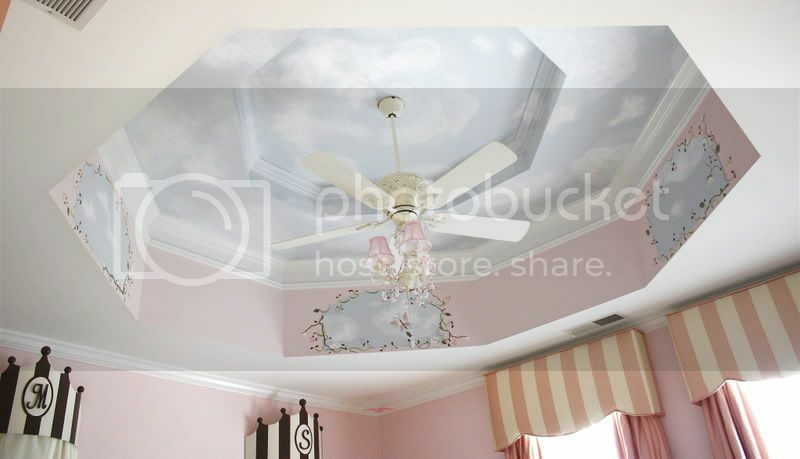 check out that awesome princess-y ceiling fan they have! i like his prominent snout. i was happy to see that my furniture paint job was holding up perfectly! no wear or tear...and i think that means a lot, coming from a house with 4.5 year old twins and an older brother! 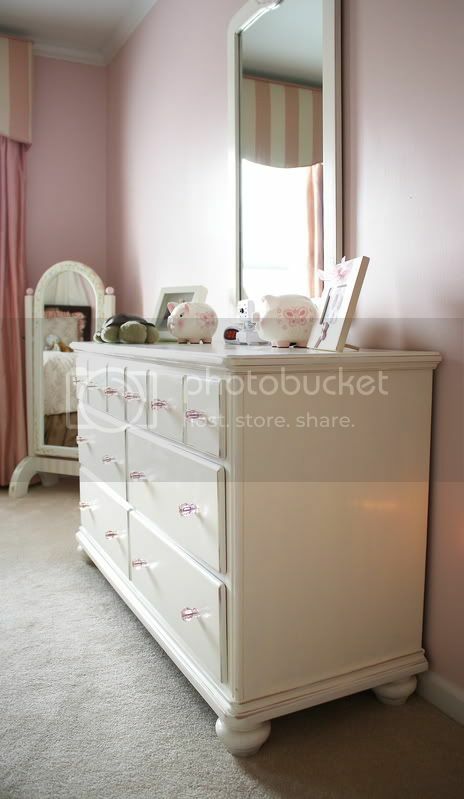 on the top of the mirror, i painted a little white and pink striped spot, with a pumpkin carriage on it. 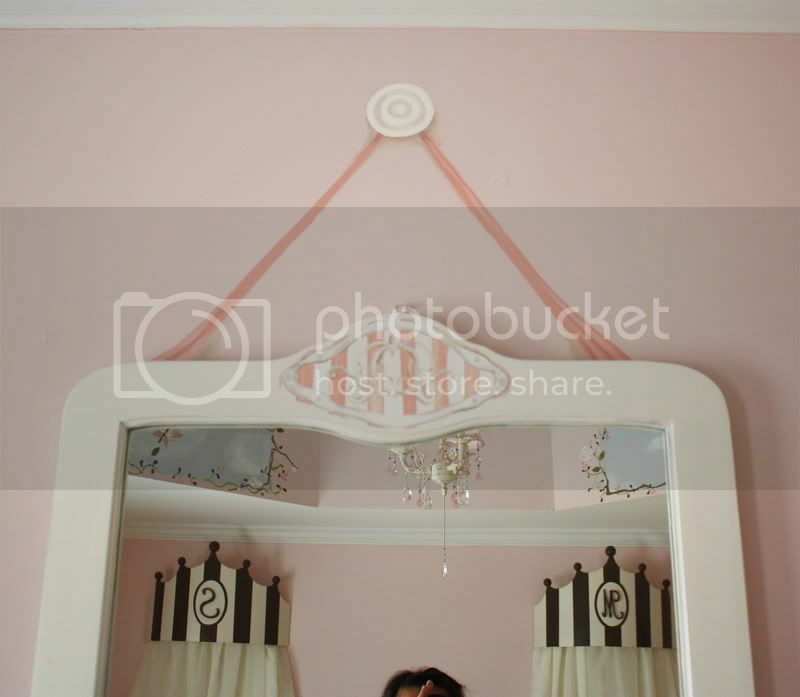 i also painted a faux "ribbon" and a faux "peg" that are supposed to look like they're holding up the mirror. 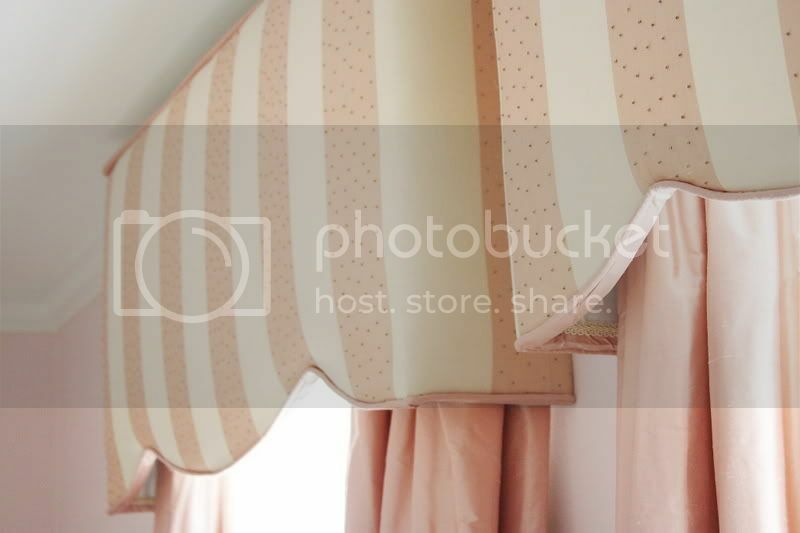 don't you love the silk fabric with the little hand-sewn beads? so sweet! You are so talented. Seriously!! Wow, what a cool room! I really like the turret feel of the ceiling. I'm a sucker for un-boxy rooms with interesting wall angles and such. You have great design sense. What a fun opportunity to do such a cool room. Turned out perfectly. That is gorgeous! 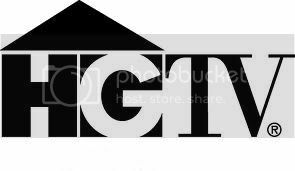 I actually want to live there! I just love all the little details you added. Love the two little girls walking up the path to the castle. That's love in the details at its finest! O.K. this belongs in a magazine on the front cover!! I agree with what Suzie said - this is absolutely adorable! Great work as always. Can't wait to see the bathroom! This is fantastic! What a dream bedroom! Beyond adorable! 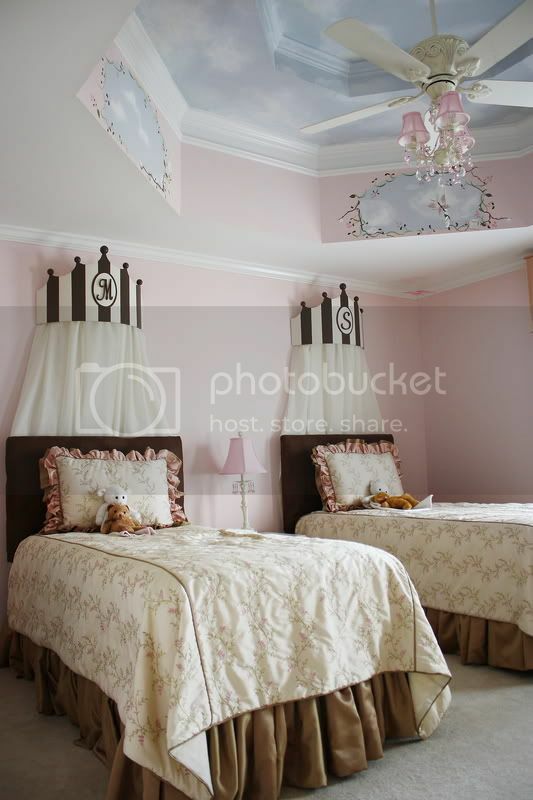 I would've loved that room as a little girl! I love it! You are so talented! 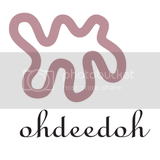 Do you know the name of the pink paint you used? thank you to my sponsors. 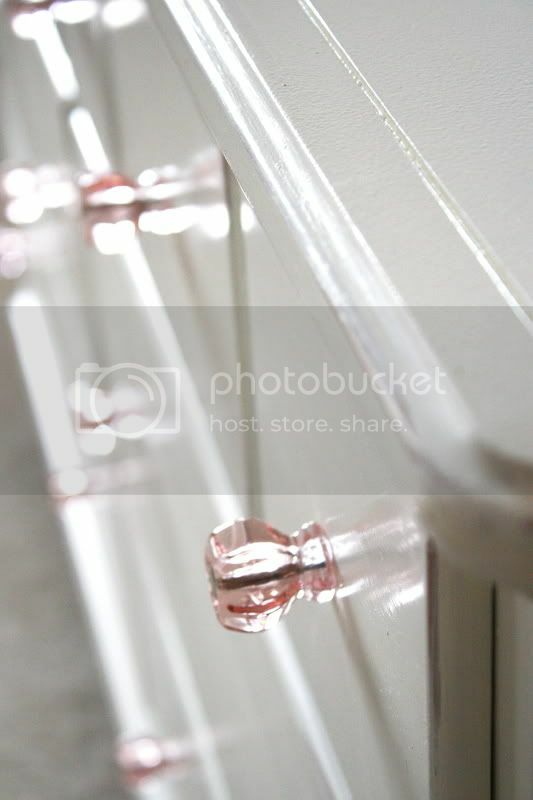 new photos of my handpainted furniture.